When choosing blinds, there are a number of aspects that you will need to take into consideration. To begin with, it is important that you consider how well the blinds will coordinate with the furnishings and materials already present in the room. With the exclusion of children’s play areas and bedrooms, it is vital that the style of a room is consistent. However, above all, blind styles must be suit the personal taste of the individual. Roman Blinds work by folding sections of the blind up into a pile. Roman Blinds create a soft feel and can be coordinated with other furnishings in the rooms. Most Roman Blinds are made from cotton, polyester or linen. However, some manufacturers may produce Roman Blinds made from other fabrics. Roman Blinds come in two styles: Blockout and Sunscreen. As their name implies, Blockout blinds prevent any light from entering the room, making them great for bedrooms. On the other hand, Sunscreen blinds allow some light into the room. Roman Blinds are perhaps the most aesthetically pleasing style of blinds, making them a popular choice for living environments. In addition, as they are available in such a variety of styles and colours you can find the perfect blinds to complement your room! Furthermore, they are relatively easy to look after as Roman Blinds can be easily detached from the head rail for cleaning. Venetian Blinds are can be constructed from 3 different materials: 1. Wood 2. Ecowood (PVC blinds, faux-wood and eco-wood are all synonymous with ecowood in the blinds industry). 3. Aluminium (sometimes these are referred to as ‘mini blinds’) Wooden Venetian Blinds For those who are looking for stylish blinds to dress up the interior of their home or office, Wooden Venetian Blinds are the best option. In most cases, Wooden Venetian Blinds are sold with 50mm slats. 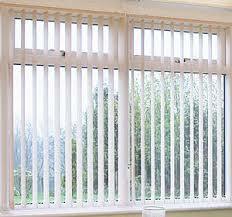 However, it is not uncommon to find designs that sport 25mm slats. While there are other slat sizes available, they can be harder to find. Most wooden blinds are made of basswood, an incredibly light type of wood. However, if you are looking for something a little bit different, it is possible to find Wooden Venetian Blinds made from bamboo and a selection of oriental hardwoods. In general, basswood is the best material as it is very robust and does not incur much warp damage over time. Wooden Venetian Blinds are most commonly used around the home, especially to cover large windows. Due to the nature of their composition, avoid installing wooden blinds in areas with high amounts of moisture in the air, such as a bathroom. Wooden Venetian Blinds are available in a range of colours such as cherry, mahogany and cedar. In addition, it is also possible to buy white Wooden Venetian Blinds. Ecowood Venetian Blinds are constructed from composite materials, like PVC or plastic. The popularity of Ecowood Venetian Blinds owes much to the fact that these types of blinds are easy to maintain. These types of blinds are incredibly durable as, unlike wood, Ecowood Venetian Blinds will not discolour or warp overtime, making them a great choice for areas exposed to moisture, such as a bathroom. White is the most popular shade for these types of blinds. You will ordinarily find Aluminium Venetian Blinds in business offices or in bathrooms and kitchens in the home. Due to the flexible nature of this material, in almost all case Aluminium blind are sold with 25mm slats. Two of the great things about Aluminium Venetian Blinds is that they are very cheap and are available in a great range of colours, allowing you to pick the perfect shade to complement your room or office. With French Doors it is recommended that you use the same materials as those already on windows in that room in order to keep the design of the room harmonious. In addition, when placing an order for blinds for French Doors, you will need to account for the location of the tilt control and the lift control as you need these controls to be on the side of the hinges, not the side of the handle as this can be very inconvenient when operating the door! Sunscreen Roller Blinds work best for windows which offer a pleasant view as they allow you to still enjoy view whilst offering privacy. Roller Blinds are best option for sliding doors because they roll up compactly at the top, making them more space-saving than other types of blinds such as Venetian Blinds and Roman Blinds which can take up an additional 200mm when wound up to the top. 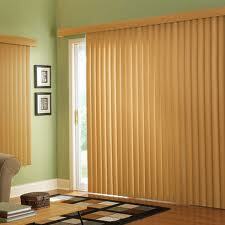 It is also important to ensure that the movement of the blinds is not hindered by any handles or locks on the door. If there are obtrusive handles, Roller Blinds can be reverse rolled away from the handle. Always remember to add 200mm onto your drop measurement with your measurements to ensure that the blind is out of the way of door area when it is full wound up. Which Blind For Which Room Although it is tempting to choose blinds solely on their aesthetic appeal, other factors do need to be taken into account when choosing blinds, such as practicality. Blockout Roller Blinds and Roman Blinds are the most popular choices for bedrooms. This is because they offer considerable privacy and block all light out. Nursery / Play Rooms / Children's Bedrooms: Safety is the most important factor in these rooms, so make sure that your chosen blinds include safety Chain Guides. You will also need to make sure than the Chain Guides are not in close proximity to cots and other furniture. Blockout Roller Blinds are a popular option for children’s rooms as they will keep the room dark during daytime naps. Aluminium Venetian blinds and Ecowood Venetian Blinds are the best options for kitchens as they will not warp and are very easy clean, unlike their wooden counterparts. However, if you are not keen on the Venetian style, Sunscreen Roller Blinds that sport easy-clean fabric may be a more attractive option. In living rooms Sunscreen Roman Blinds or Sunscreen Roller Blinds are the best options. This is because they allow you to keep your privacy whilst letting light in. In addition, they have a modern appeal. As blinds in bathrooms will be exposed to prolonged moisture overtime, you will need to think about durability when choosing blinds for your bathroom. Avoid putting Wooden Venetian Blinds or polyester based Roller Blinds in your bathroom as they are unlikely to survive long in the moist conditions. Although some wooden blinds boast that they are specially treated to resist water, they will degrade over time in these conditions. Thus, the best options for bathrooms are Aluminium Venetian Blinds or Ecowood Venetian Blinds.